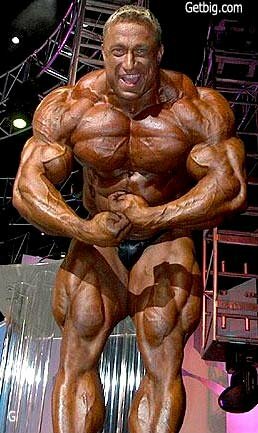 The Best Quad Building Tips And Workouts On The Bodybuilding.com Forums! Got toothpick legs? 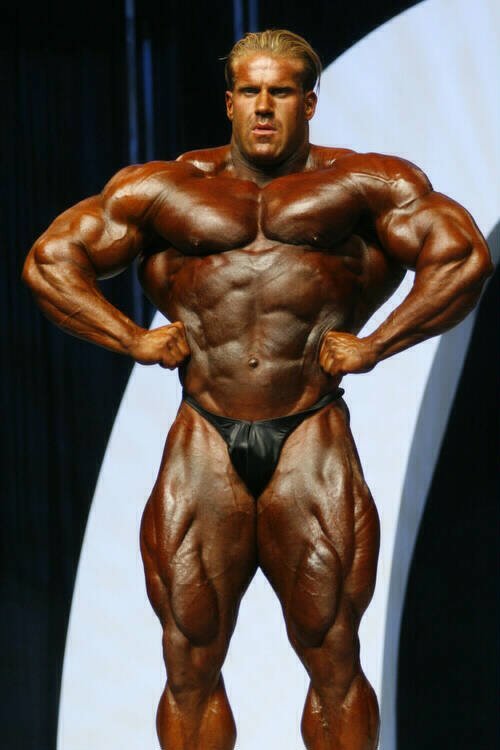 Learn about the quads and get some tips & workouts from your peers right here on the Bodybuilding.com forum. Sit back, relax, and get ready to blast your quads into new growth! Got toothpick legs? If you do, I know what you&apos;re feeling. 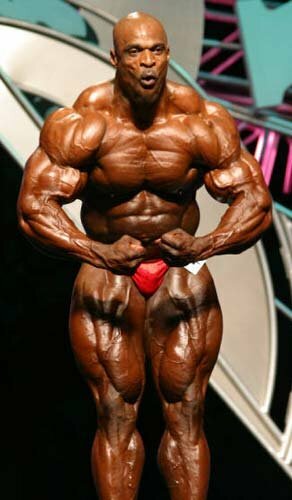 You would do anything to add some serious mass to those puny legs. A nice set of wheels adds appeal to any physique. 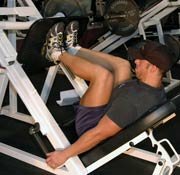 In this article you will not only learn about the quads, but you will also get some tips and workouts from your peers right here on the Bodybuilding.com forum. So sit back, relax, and get ready to blast your quads into new growth! The rectus femoris, however, is a little different in that it goes across the hip joint and originates on the pelvis itself. 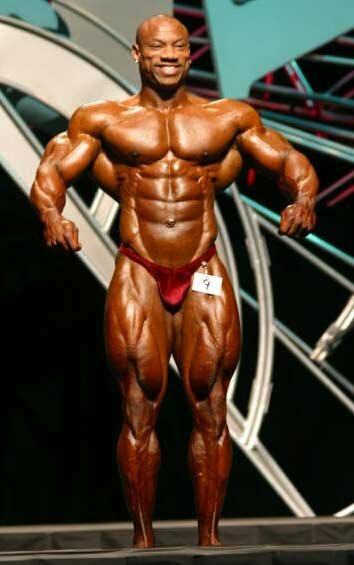 It is the combination of low body fat and massive muscle which gives you that nice cut teardrop look on stage. Without low body fat, your hard work will be distorted by fat and water. Killer Quads: Cutler, Coleman, Jackson & Ruhl. Well there are Hack Squats, and I like barbell across the back lunges. I have been working this particular area of my quads for a while. Click Here For A Printable Log Of Stu Pidasso Routine. 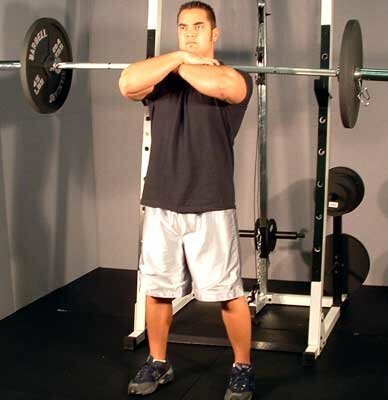 Narrow squat stance will work your outer quads not lower, and wider stance will work inner quads. This is the same for all muscles. I use leg press with a narrow foot placement to work outer quads. 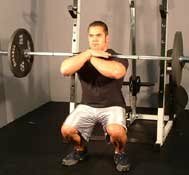 Squats with a narrow stance are just too unstable for me. To work vmo (teardrop) wide stance to work the sweep feet closer. That&apos;s true, but stance definitely effects which part of the quad is emphasized. To emphasize the vastus medialis (inner quad muscle, teardrop), you do wide-stance squats. To emphasize the vastus lateralis (outer quad muscle), you do narrow-stance squats. The rectus femoris (middle quad muscle) is used in all stances. Utilizing the proper technique is paramount when performing squats. Recently at the Centre for Sports Science, West Sussex, England, a series of tests were performed to establish if varying foot positions during squats had an effect on the recruitment patterns of the quad muscles. Electrodes were placed on the subject&apos;s quads and results of the study indicated that the quad muscles would do the same amount of work if the feet were turned inward, outward, or straight ahead. The study noted that the best squat position is the position in which you feel the most stable and comfortable 2. Which Direction Do You Point Your Feet During Squats? It&apos;s also basic kinesiology. Wider base of support = better balance. This is turn = greater power. I personally wouldn&apos;t get carried away with the toes out thing. 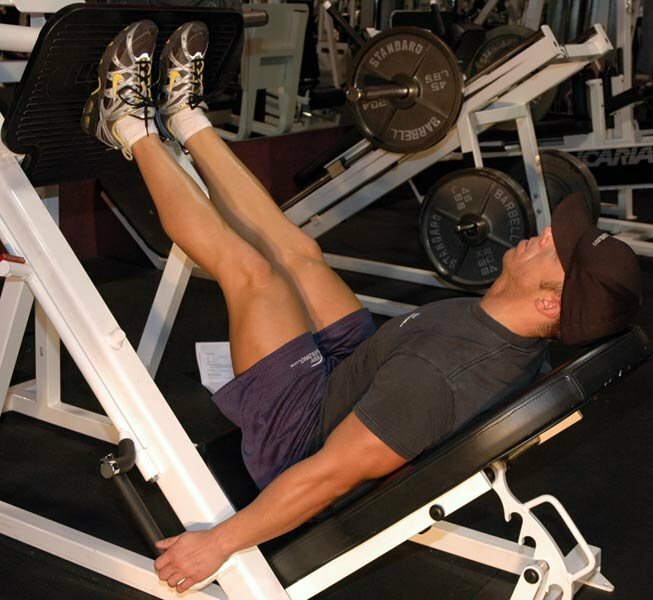 The main thing is to build up the mass of the lower quads with heavy weight and good form. While squats will do it, it&apos;s harder to isolate the muscles with &apos;em. So you should also do heavy leg presses and front squats or hack squats. Extensions are good too if done with strict form and worked up to heavy weights. For me... front squats, back squats, and hack squats. Click Here For A Printable Log Of Morbid Mind&apos;s Routine. I do 3 working sets for the squats with 1 or 2 warm-up sets, sometimes a light set after I&apos;m done with the workers. Click Here For A Printable Log Of Bodysculpting&apos;s Routine. I like mixing high and low reps for quads. Click Here For A Printable Log Of Apollo13&apos;s Routine. You should be able to go lower with a closer stance, than with a wider stance. If that&apos;s not happening, you may have some form or flexibility issues. The wider you go, the less your quads will be involved. The front squats are pretty basic. Just keep the bar racked across your delts (you should feel the bar touching your neck). That&apos;s where a lot of people slip up. Other than that the biggest difference from a back squat is that you won&apos;t sit back so much. Your upper body should stay slightly more upright. Practice with a broomstick, or empty bar and you should be able to get the form down. For best quad work... do front squatting. Front squats are amazing! Develop your teardrops like none other! Squats for overall mass, but for that sweep that we all want, probably front squats or hack squats. You can mimic sissy squats with a hack squat machine by foot placement. There are IMO 4 exercises that will really give you size to your quads and those are Squats (Go figure right), Leg Extensions, Barbell Lunges, and Leg Presses. Those have given me exceptional gains. And I can feel it the next morning every time I do legs. I found that the best rep & set range is 4 sets and 8-12 reps. Hope this helps. Click Here For A Printable Log Of AMG&apos;s Routine.